The Basic Magic System for The Fantasy Trip. The magic companion to Melee . . . sorcerous combat, in the arena or in the dungeon. 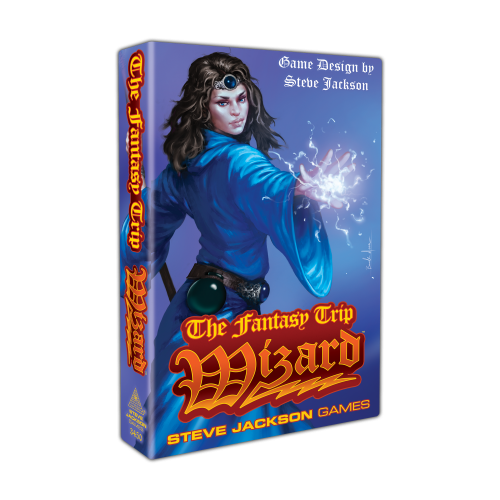 Create your wizard, choose his spells, and go into combat. Zap your foes with fireballs or lightning. Summon giants, dragons, and wolves to destroy them all. Or be subtle and entangle them with magic rope and Sticky Floor spells. Successful wizards gain skill and power. Losers die. Includes rulebook, 19" x 23" game map, 62 counters, and 3 dice. This is the basic magic system for The Fantasy Trip.